The Gaping Dragon introduces a brand new condition called corrosion. Corrosion makes even the most armored characters vulnerable. 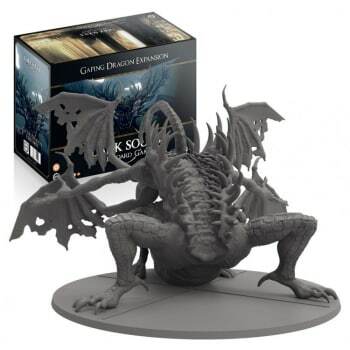 The expansion features a gigantic, beautiful PVC miniature of the Gaping Dragon and massive Mega Boss board where the encounter takes place. Unique Level 4 encounters add a whole new element of exploration and level of challenge leading to the iconic Mega Boss encounters.